Retreat to the bedroom! 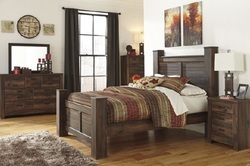 With our selection of bedroom furniture from headboards, dressers, and chests to nightstands, media chests, and wardrobes, you can turn your sleeping space into a sanctuary. No matter what your style, we hope you’ll find it here. We believe everyone deserves a good night of sleep. 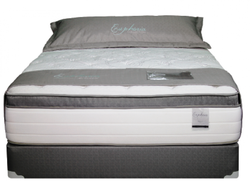 With styles ranging from entry-level and lower priced models to premium styles featuring the latest in sleep technology, we work hard to offer a variety of mattress models that allow consumers to get the most bed at their price point.